Spell, build and decorate with these beautifully crafted wooden alphabet blocks. A truly unique tribute to the pixel! Each Bitblox package includes 28 wooden blocks, a numbered Certificate of Authenticity and 8 bonus OpenType fonts. Made entirely in the USA from renewable wood and printed with non-toxic, child-safe inks. 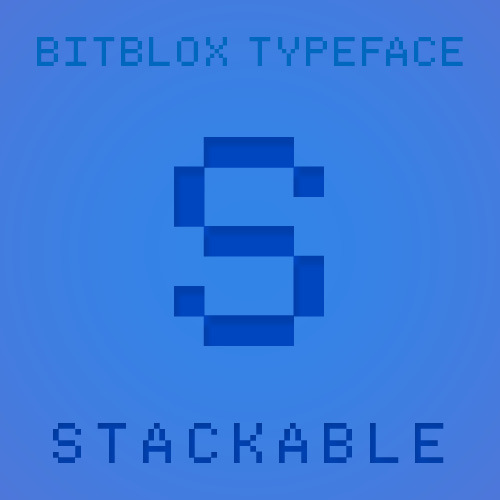 Bitblox are a limited edition, short-run item. Available exclusively from Glyfyx. Get yours while they last! 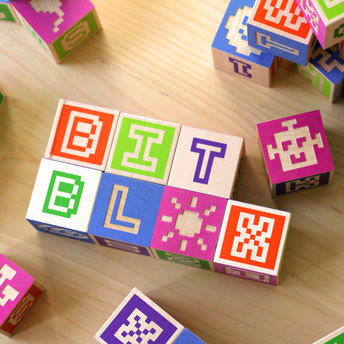 Bitblox — Wooden alphabet blocks for the Digital Age! Bitblox are a celebration of pixels — the eensy data dots that have brought meaning and joy to our lives since the sun-dappled days of Pong. While pixels continue shrinking out of sight on our digital screens, they live on in full chromatic and tactile splendor in these one-of-a-kind blocks. 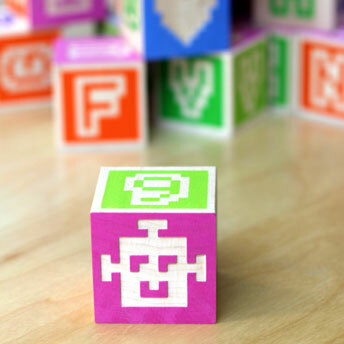 Each set of Bitblox includes 28 blocks, featuring a total of 168 letters, numbers, symbols and pictograms (including a pixelated robot, floppy disk, at symbol, quotation marks, smiley face, heart and more). Bitblox are printed in six vibrant colors with hand-mixed (and non-toxic) inks. 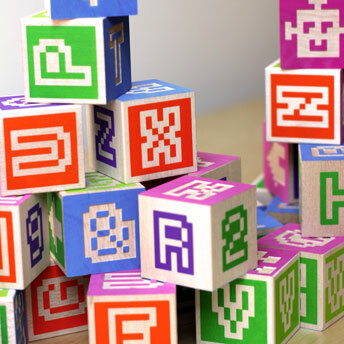 Spell, build and decorate with these beautifully crafted wooden alphabet blocks. Bitblox are intended for decorative use. Each Bitblox package includes 28 wooden blocks, a numbered Certificate of Authenticity and 8 bonus OpenType fonts. Bitblox are made entirely in the USA from renewable wood and printed with non-toxic, child-safe inks. 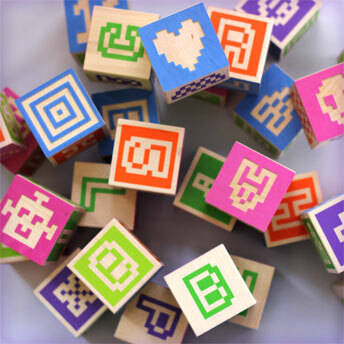 These pixelated wooden alphabet blocks make great gifts for geeky gamers, design dorks, nostalgic nerds, graphics gurus and pixel lovers of all kinds! 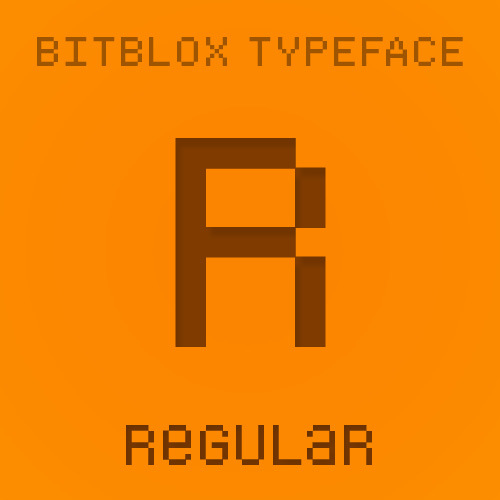 Bitblox are a limited edition, short-run item. Available exclusively from Glyfyx. Get yours while they last! — Only $45 — in stock and shipping today! More Bitblox information and images here.